This season has been the most successful of Serge Gnabry’s young career. He adapted to life at his new club Werder Bremen, scored several mind-blowing goals, and received a call from German national coach Joachim Low. It was only a year ago that he was struggling to make the bench at West Bromwich Albion. Gnabry’s technical soundness and tremendous athleticism have always been there. He didn’t turn into a player that is on Bayern Munich’s scouting list overnight. But how does a footballer already in his twenties experience such a resounding rebirth? For Martin Weddemann, owner of Focus-on-Performance, a German-based training and performance consulting company, the answer is obvious. In the past, Gnabry’s injury problems weren’t treated correctly and cost the winger years of his career. Weddemann and his companion Lars Lienhard, who worked with the World Cup-winning German national team in Brazil in 2014, are well-respected among athletes from various sports. Their clients include cyclist Leopold Konig, shot putter David Storl and luge legend Tatjana Hufner. But for the past few years, they have been striving to make changes in football. Several world-class players already use their services. Arsenal skipper Per Mertesacker swears by their methods; German superstar Marco Reus called Lienhard in the middle of the night and asked for help during his time at Borussia Monchengladbach; player agents and sporting directors email them several times a week; medical staffers from the best clubs of the world knock on their door. It has become routine for Weddemann to talk to higher-ups in football business, who believe they have found the next big thing – ‘neuroathletics’. Like the name suggests, it links neuroscience and athletic training. “Neuroathletics is not just one of these new trends we see every once in a while in the fitness sector. It is a completely different foundation,” explains Weddemann. Weddemann and Lienhard are proponents of methods that might appear superficial, but in fact stimulate the brain in order to achieve better body and movement control. Processes that happen subconsciously can lead to pain, stress on certain areas of the body, and, in the worst cases, to severe injuries. Neuroathletic training sessions involve individually designed eye or balance exercises suited to the sport-specific needs of the athlete, says Weddemann. These exercises completely differ from what football players normally do in between matchdays, but help them to become less prone to injuries that aren’t caused by on-pitch collisions. When Weddemann sits in front of his TV and watches the Bundesliga, he often shakes his head. Even just looking at the screen, it becomes clear to him that some players are not fully fit. The way they move, the way they lean towards one side, the way they run tells him that something is wrong. If, for instance, a player drags one leg behind by a little bit, it can be a precursor to a muscle tear. Weddemann and Lienhard could probably earn their money just by betting on injuries, but instead they want to help footballers and, of course, leave their mark in the sport. As Gnabry shares agents with Focus-on-Performance client Per Mertesacker, he had the chance to meet Lienhard and Weddemann. Ahead of the 2016 Summer Olympics, with Gnabry scheduled to feature for Germany, he undertook a personal training camp in Bonn. It helped him tremendously. After working with Lienhard, Gnabry was free of pain. On top of that, he improved his ability to move and position himself to the ball in high-paced situations. Weddemann is convinced that “mainly because of his attitude and neuroathletics, Serge performs so well now”. In his second match after signing for Bremen, Gnabry scored a beautiful volley against Borussia Monchengladbach. Weddemann jumps up: “He did exactly what Lars taught him. He stretched his spine and kept his eyes on the ball.” Gnabry later admitted in an interview with Sky Germany that without those special exercises he wouldn’t have scored his goal of the month. During the last few decades, football clubs have become huge companies. Some are worth several billion dollars. Yet the work in backrooms and medical facilities doesn’t always keep up with the highest standards outside the world of football. Players are costly properties and cannot be treated like a rusty Volkswagen. Bad luck is no longer an acceptable excuse when the injury list grows – Gnabry’s former club knows this well. Consequently, experts like Weddemann and Lienhard break into this world and try to shake things up, which not everyone welcomes. “We still have a lot of enemies. But sooner rather than later they will have to admit that our approach can be an important piece of the puzzle. You can’t deny the importance of the brain and how it controls everything,” Weddemann says. Currently, Weddemann is working on setting up a university course in neuroathletics with leading international experts in the neuro fields. 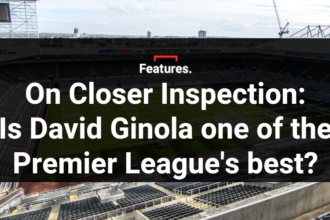 He is constantly in contact with several top-tier clubs that have realised there is still a lot of room for improvement when it comes to training methodology. 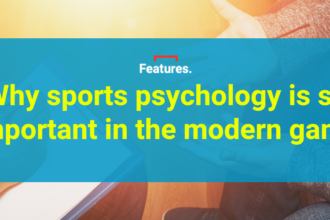 Neuroscientists discovered the functions of the brain during the last century; the football industry is discovering its importance right now.